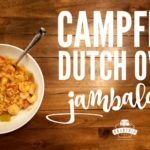 Planning on going camping this fall? Just because you go camping doesn’t mean you don’t decorate! Amirite? 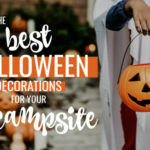 It’s time to get your spooky on and bust out some fun décor for Halloween that is perfect for the campsite! 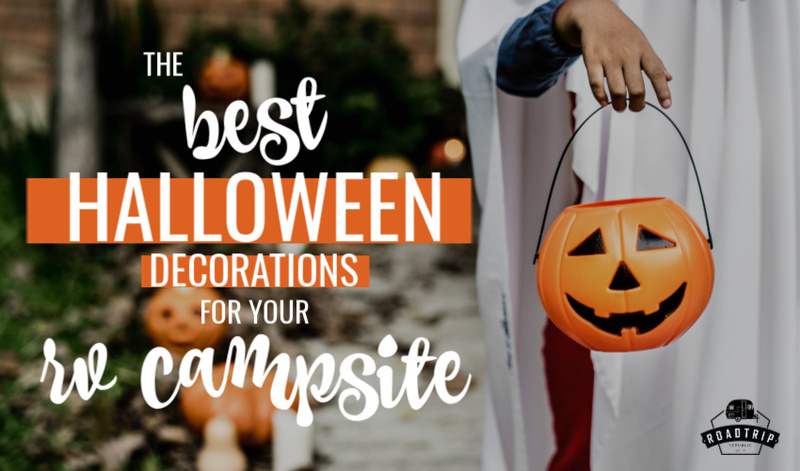 These simple, but cute Halloween campsite decorations are the perfect touch to make your campsite feel like home! And bonus – they don’t take up much room to transport. 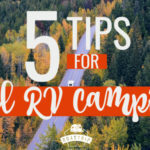 Fall RV camping can be the absolute best time to go camping! The air is crisp, your air condition isn’t running non-stop and the heater isn’t drying out your skin. You have just the right weather for a campfire, while still enjoying outdoor activities in and around your campground. 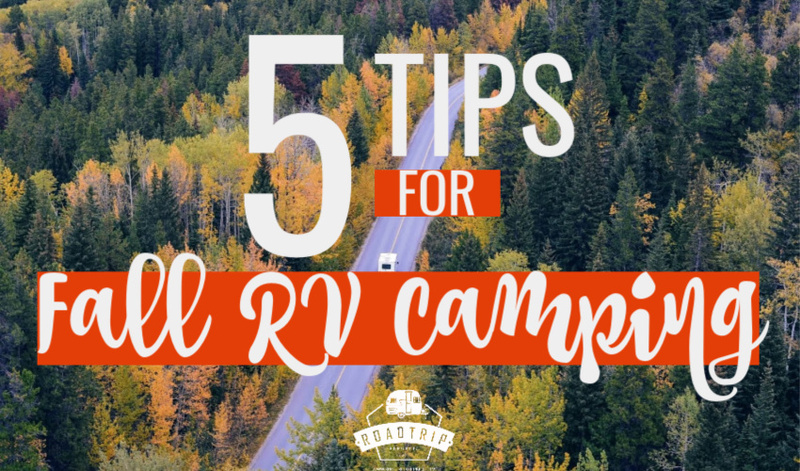 Prepare your camper and bring just the right essentials and you will make fall the best camping season ever! Oh! 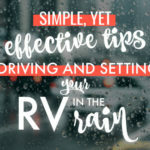 Don’t you dread packing your RV for a weekend trip?! We pull the RV up to our sticks and bricks home, typically the night before we leave, and load it up with everything we took out of the camper and then load a bunch more stuff about 15 minutes before we take off. We always take way too much stuff (because it is 3 of us in a 38′ trailer – we have the room) and dread the unload. 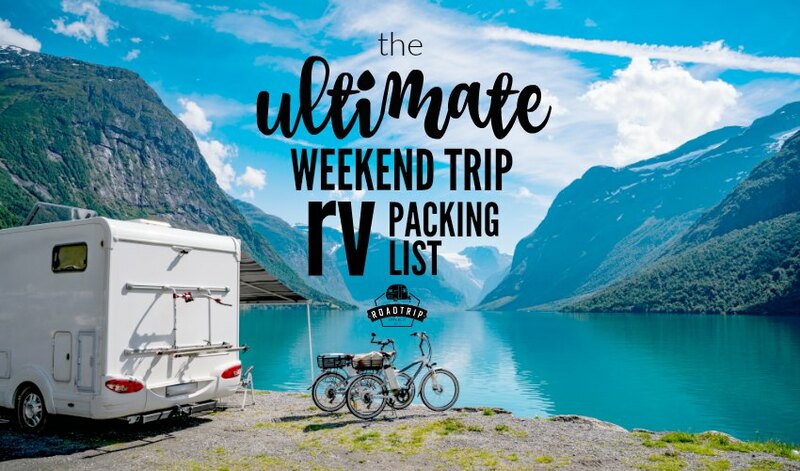 That’s why we put together a super easy, PRINTABLE Weekend RV Packing List! We can’t wait for you to use it and let us know how you like it! 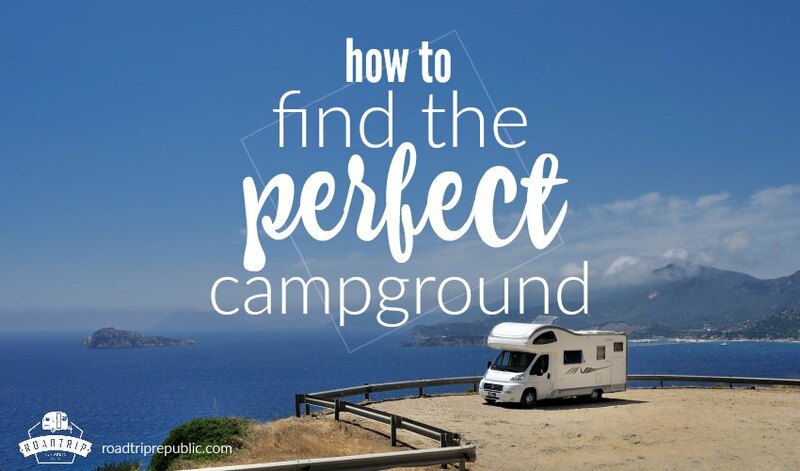 Choosing the perfect campground can be a daunting task, especially as RV’ing and camping becomes more and more popular. Our options for camping used to be state and municipal parks, with the exception of a private campground here and there. 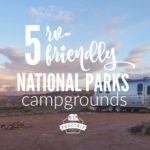 Today, we still have our state and municipal campgrounds, but private campgrounds have morphed into RV Campgrounds, RV Resorts, rig-specific campgrounds and campgrounds dedicated solely to our children and even our pets! 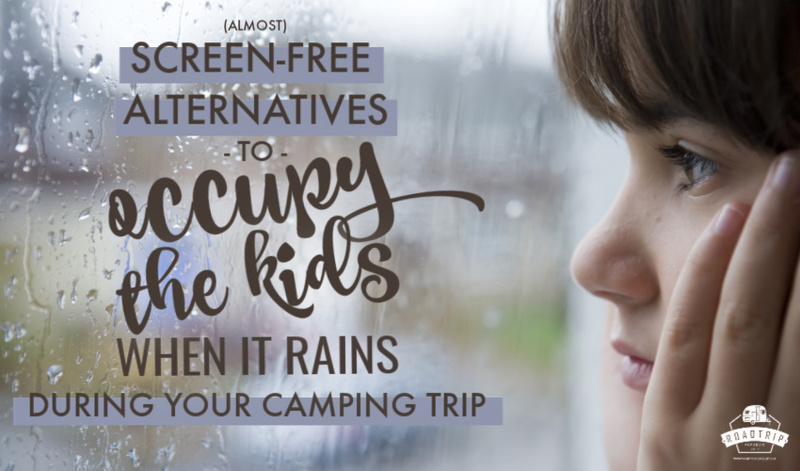 When it comes to camping, we all enjoy camping a little differently – and that’s ok! 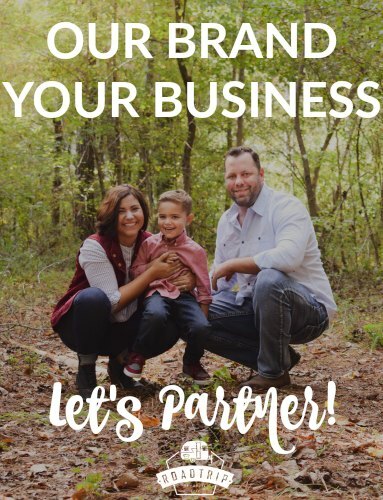 Whether you like to rough it or you enjoy your hot shower in the comfort of your RV at night or in the morning, there is something for everyone to get out and enjoy a new space. 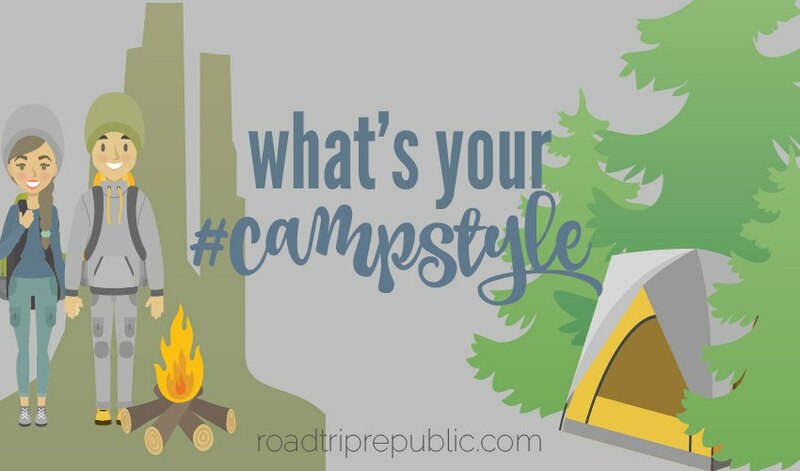 No matter your camping style, use our simple suggestions for the best parks or resorts to make the best of your next camping trip! Hm… RV Toilet Paper. Some may say it’s not so glamorous, is it?! (Ok… ok… most would say that!) 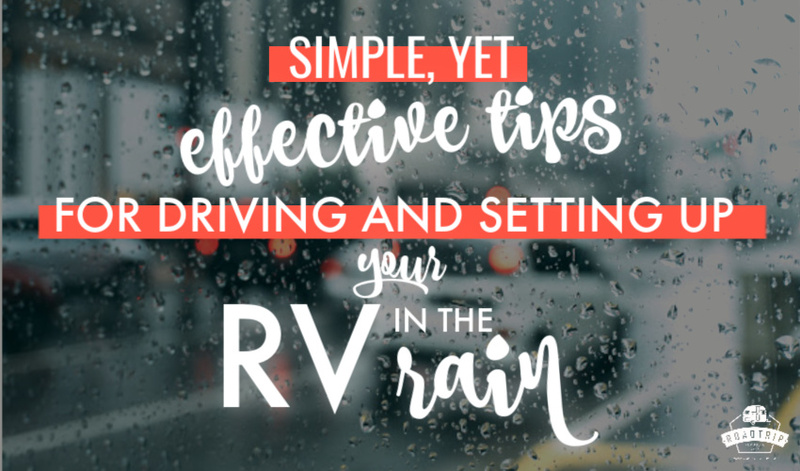 However, it’s a necessary evil in the RVing world and we are here to tell you why! 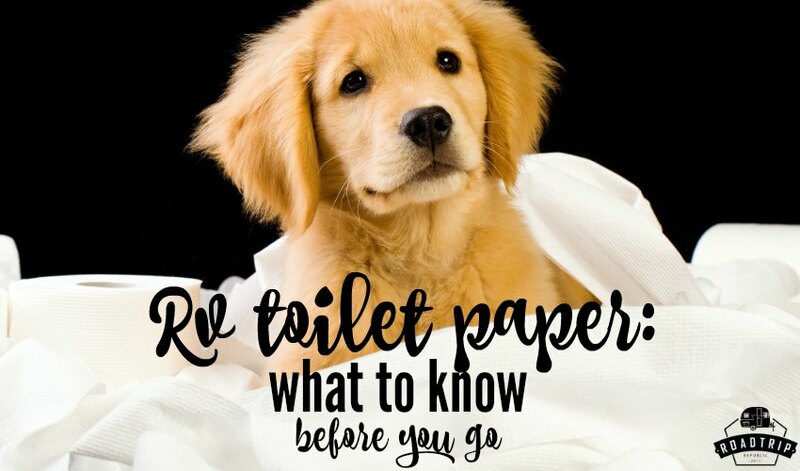 I’ve read on multiple forums of these people that haven’t used RV toilet paper for 8 years and never had a problem. Well, what about the people that have?! 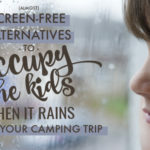 When it comes to anything that may hinder my comfort, especially in the smells department in our travel trailer, I would rather be safe than sorry! 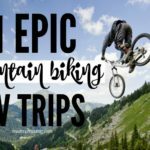 There are obvious gifts for RVers and not-so-obvious gifts for RVers. Not to fear! 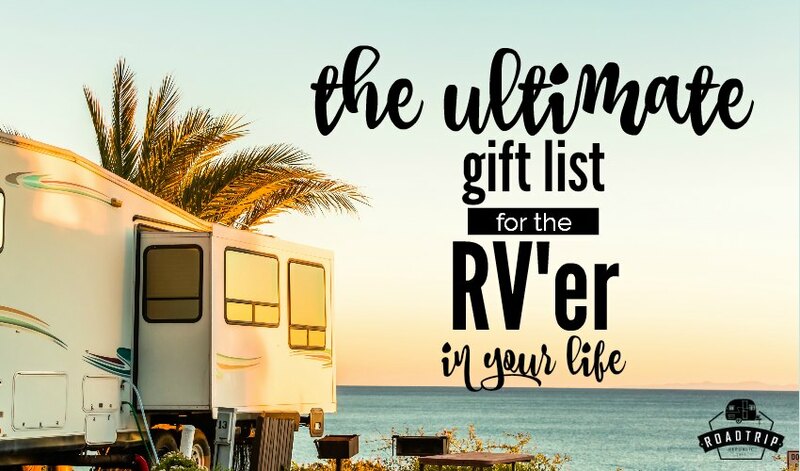 If you have been tasked with finding the perfect present for someone who is into camping in an RV, travel trailer or 5th wheel, this list will be your new best friend! Take one suggestion or take a few, but these are sure to please even the most hard-to-buy-for! Road trips are just plain fun! What’s not so fun is filling up your tank. Whether you have a truck, a motorhome, a car or even a motorcycle, trips to the pump add up quickly. Holiday travel, summer road trips and weekend getaways are about to get a little more affordable! 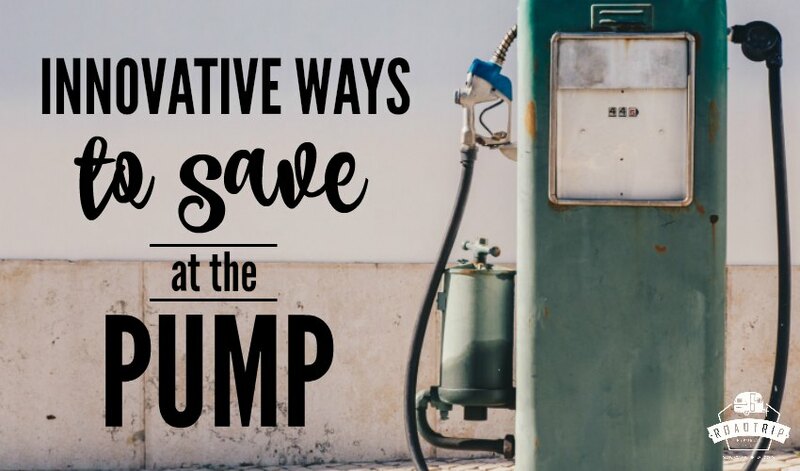 Here are some out-of-the-box ways to save money on gas and diesel fuel on your next fill up! Success! 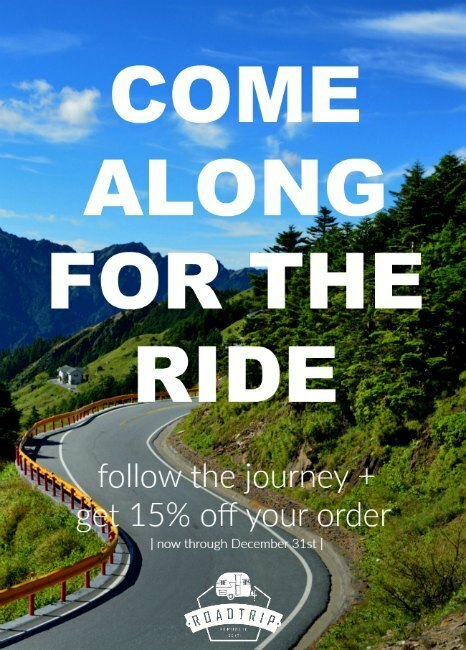 Now check your email to confirm your subscription and snag 15% off your order in our online store now through December 31, 2017.